Far away from Silicon Valley is another echo chamber in the Ivory Tower, except there’s very little transparency there about how content and ideas spread. 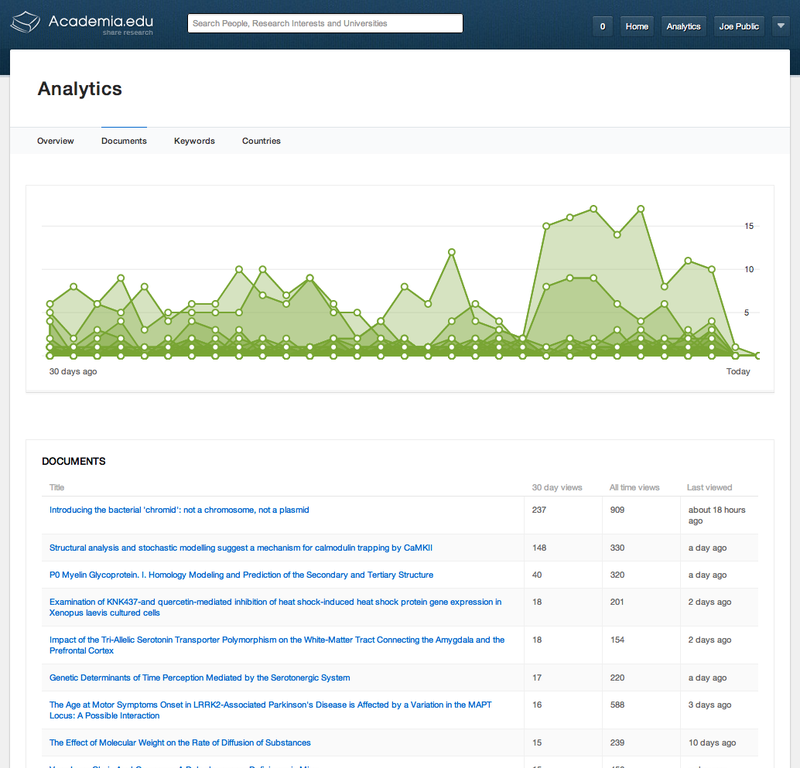 Academia.edu, a social network for researchers, just unveiled an analytics dashboard that’s meant to help scientists and other academics understand how their work is being read and distributed. It’s a difference from an older, more opaque world in which researchers vied to get into elite journals like the New England Journal of Medicine. “To be a successful academic, it’s becoming as important to have an established web presence as it is to be published in a journal and it’s going to be increasingly critical,” said CEO Richard Price. 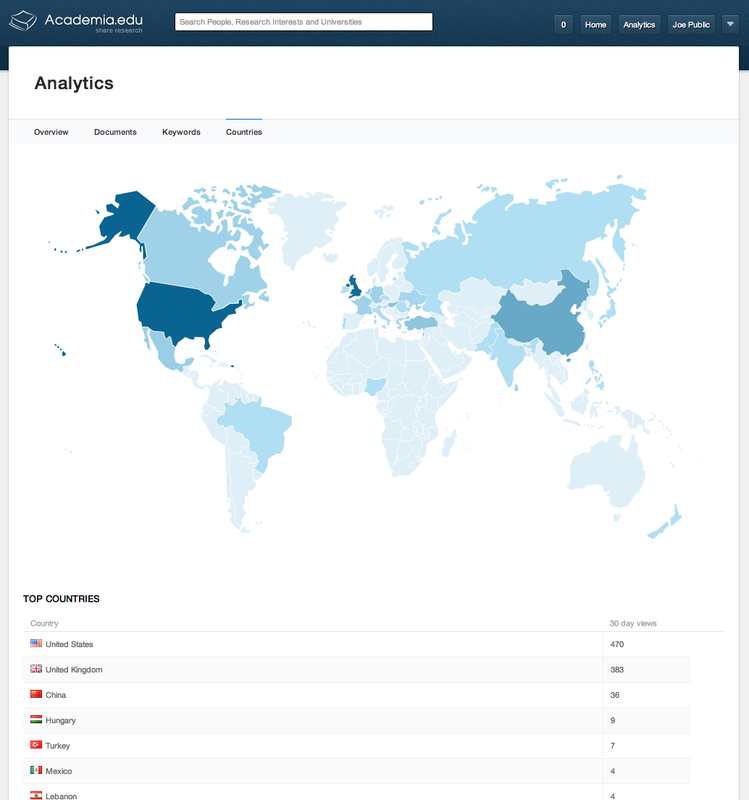 To those of us in the tech community, the concept of an analytics dashboard would appear pretty basic. But in the slow-moving world of academia, Price says it has profound consequences. At the same time, it can take citations five years to emerge, he added. Real-time metrics that track mentions on the web and on Twitter could give credibility to a researcher a lot sooner. “It gives scientists visibility into all of the traffic they’re receiving by country and other factors. It’s super granular and it’s in real-time,” Price said. A professor, for example, will be able to see how many paper downloads they’ve gotten in the last 30 days. Price said the metrics also preserve reader privacy and are basically in line with what other analytics products offer like geographic data and time spent on the page. Academia.edu, which just picked up $4.5 million in funding last fall from Spark Capital and True Ventures, has 1.7 million members. The site doesn’t yet have a revenue model, although one could imagine premium, subscription products akin to what LinkedIn offers its power users. “There are about 17 million academics in the world and when you’ve gone beyond about 15 percent of them, there’s probably enough data there to start a revenue model,” Price said.